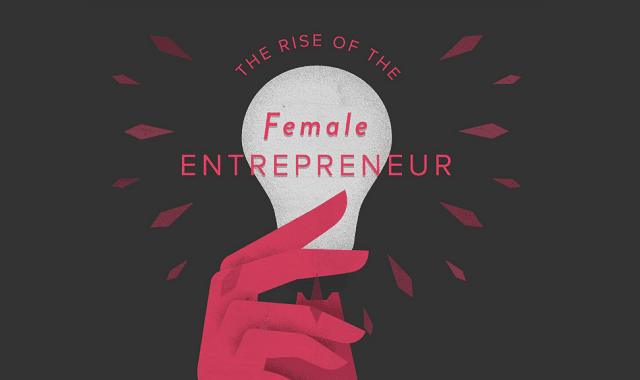 The Rise of the Female Entrepreneur #infographic ~ Visualistan '+g+"
Women entrepreneurs in all states – New Jersey, Pennsylvania, Virginia have come a long way over the last 40 years. Before 1974, banks could require women borrowers to guarantee their loans with cosignatures from husbands, fathers or male business partners. Today, women aren’t only starting small businesses faster than men, but they’re also creating more jobs. And the types of businesses and jobs they’re starting are diversifying workplaces in big ways. Women-owned firms are more likely to be smaller and also more likely to offer workers benefits like venture profit-sharing and tuition reimbursement. Making employee enrichment more of a priority is only one of many positive changes female leaders are bringing to business.